My two-week trip travelling from Vegas to San Francisco via Los Angeles was one of the best fortnights of my entire life. My friend and I planned the whole trip by ourselves, booking everything from the flights to the accommodation to the trips separately, so it really was the epic culmination of months and months of research. Day 1: Flew from London to Vegas. Day 2: Saw the Vegas sign, headed up the Stratosphere hotel, spent time in the casinos, and saw Britney Spears in the evening. Day 4: Day trip to the Grand Canyon! Day 8: Day trip to Universal Studios! Day 15: Golden Gate Park and a trip on a cable car. In the evening, we flew back to London! To get maximum time in Las Vegas, we opted for an early(ish) flight from London Gatwick, taking the 11:20am flight with Virgin Atlantic. At just under 11 hours in the air, it’s not exactly fun in economy, but Virgin’s choice of in-flight entertainment and British sweets (like a delicious Fab ice cream) make it almost fly by. Pun completely intended there. Sorry. We landed in Las Vegas at 2:05pm, jumping in a cab at the airport straight to The Luxor hotel. Expect to pay around $16 (£12) for a one-way trip, but a word of warning: some cab drivers like to take you round the long way so as to ramp up your fare! The Luxor hotel is insane; if you’re staying inside the pyramid, the lifts go diagonal, and your corridor will overlook the whole casino floor. It’s OTT, bonkers, and I fell absolutely in love with it. Not going to lie, on our first afternoon in Vegas we just took a walk around the local hotels, before crashing in bed around 7pm. Party animals we ain’t. DAY 2: The Vegas Sign and Britney! Our first full day in Las Vegas kicked off with one of the most iconic sights in the entire city: the Las Vegas sign! It’s a 20-minute walk from The Luxor, and you pass Mandalay Bay and the Harley-Davidson store. I just remember doing this walk and being completely blown over by whole huge everything was, from the width of the road to the cars, billboards, palm trees…not to mention the fact you’re surrounded by desert! Found on an island in the middle of the road, the Las Vegas sign is likely to have a huge queue in front of it, but it goes quickly. 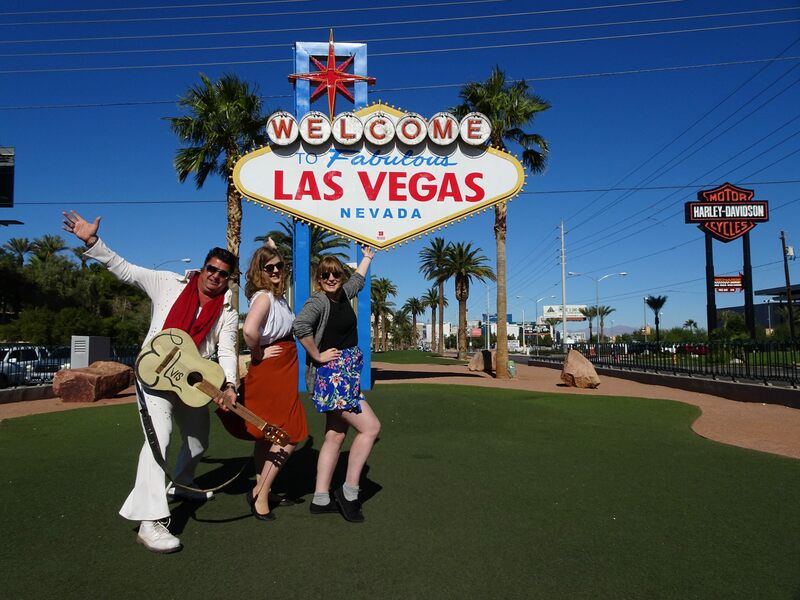 There’s an official photographer on-hand to take photos of you and your friends (for free, using your camera), and when we went there was also an Elvis impersonator, whose official job is basically to welcome you to the city in the most Vegas way possible. 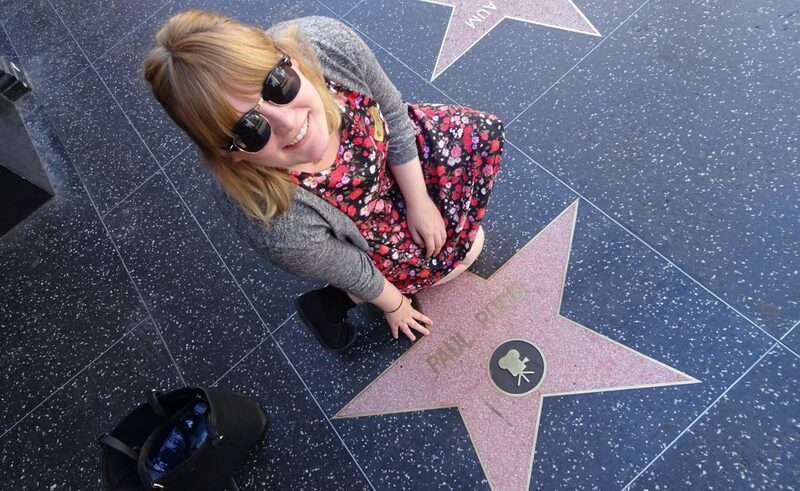 Yes it’s super touristy, but c’mon. Your parents will love the pics. For our dinner, we were lucky to score a table for two in the House of Blues, found inside Mandalay Bay hotel. It’s one insanely hip restaurant that also hosts rock band Santana several times throughout the year. Sadly we weren’t on the ball enough to see them live, but we did tuck into salad and cocktails inside the restaurant which features stained glass windows, fairy lights, and a massive tree in the middle of the room. Once we’d checked in, we hopped in a cab up to Downtown Vegas, a.k.a. the historic centre which is home to the original casinos before more opened up along The Strip. 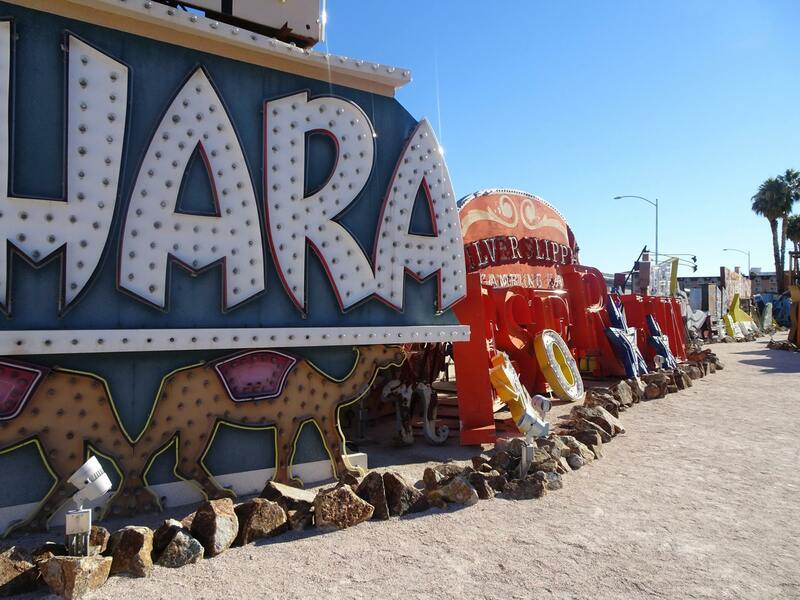 Our first port of call was the Neon Museum, an outdoor museum dedicated to the neon signs of Vegas’ old casinos and other businesses. Access is only allowed on guided tours, and since these are limited they do sell out very quickly. Make sure you book well in advance to avoid missing out on this impossibly cool side to Vegas. Because we were over that way, after our tour at the Neon Museum, we took the shortest cab ride (less than a mile…) over to Fremont Street, the centre of Old Vegas. With retro casinos, SlotZilla ziplining experience, and a giant psychedelic TV screen, Fremont Street is not to be missed. Today was the day of our first big day trip: to the Grand Canyon! 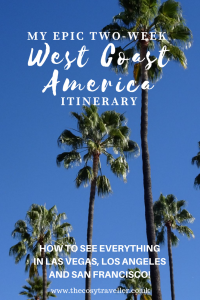 We booked a full-day trip to the West side with Viator, since it included a stop off at Hoover Dam on the way there, plus tickets onto the Skywalk. For those who aren’t familiar with the Skywalk, it’s basically a glass walkway that pokes out over the edge of the Grand Canyon. Look down, and you’re treated to 4,000 feet of empty space between you and the Canyon floor. It’s not quite as terrifying as it sounds, I promise! 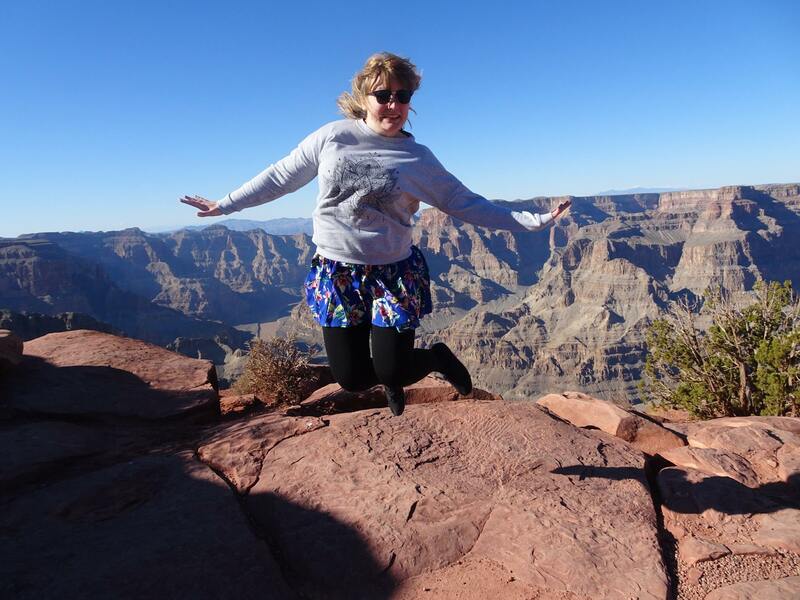 Our trip to the Grand Canyon was one of the highlights of our entire trip. We got to walk around the Hualapai Native American Reservation (owned by the Hualapai Tribe), taking in breathtaking views as well as a working ranch. Another day, another day trip. The Valley of Fire Luxury Tour Trekker Excursion was incredible, not least because my friend and I had a tour guide all to ourselves. You can read more about what to expect on the Valley of Fire tour with Pink Jeep Tours here. Needless to say, I think this day trip was actually almost as good as – if not better than! – our trip the day before to the Grand Canyon. We booked tickets in advance, once again with Viator. We arrived back in the city before the evening fully kicked in, so we had enough time to have a wander around the casinos before heading over to The High Roller at The LINQ Hotel. 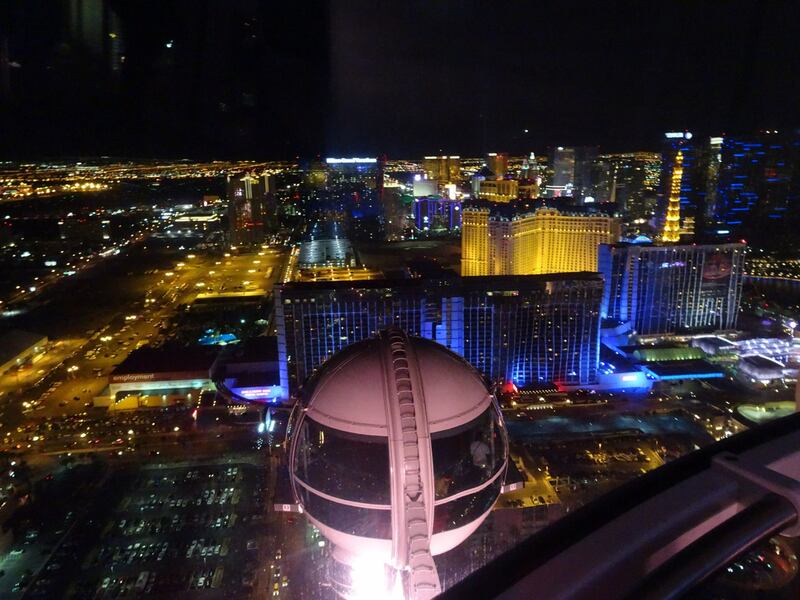 It’s basically the London Eye in Las Vegas (but taller), with glass-encased pods giving you 360-degree views out over The Strip. Plus you can even upgrade to a pod with an open bar cabin for happy hour drinks! Book your tickets here. There are various ways you can get from Las Vegas to Los Angeles (from a road trip to a 70-minute flight), but we opted for a ‘luxury’ coach ride with Lux Bus America Co. It picked us up from Harrah’s Hotel and Casino at 3pm, and took a good 5 hours to get to the USA Hollywood Hostel, just off of Hollywood Boulevard. The journey was ultra smooth, with wide, comfy seats, regular breaks, and movies being shown on the overhead TVs. 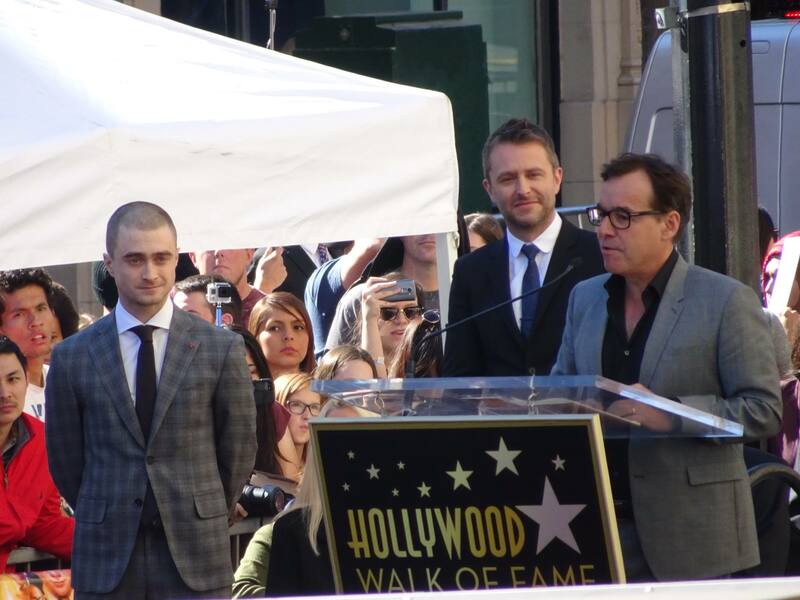 We checked out everything from the Chinese Theatre to El Capitan Theatre, before taking up our spot on the staircase of the Hollywood & Highland Center to see Radcliffe receive his star. Even if you’re not watching a celebrity get a star, I’d definitely recommend heading here anyway for a perfect view of the Hollywood sign. After a quick switch of our hotel (we are definitely not for the hostel lifestyle), we got a cab over to CBS studios. We’d entered for free tickets to see The Late Late Show with James Corden being recorded – and we got them! We had to be there for 4pm, and we were there for a good few hours, seeing Corden interview celebs including Saoirse Ronan, Olivia Wilde and Melissa Benoist. We then ambled over to The Grove where we fell in love with the Christmas decorations, restaurants and market stalls. 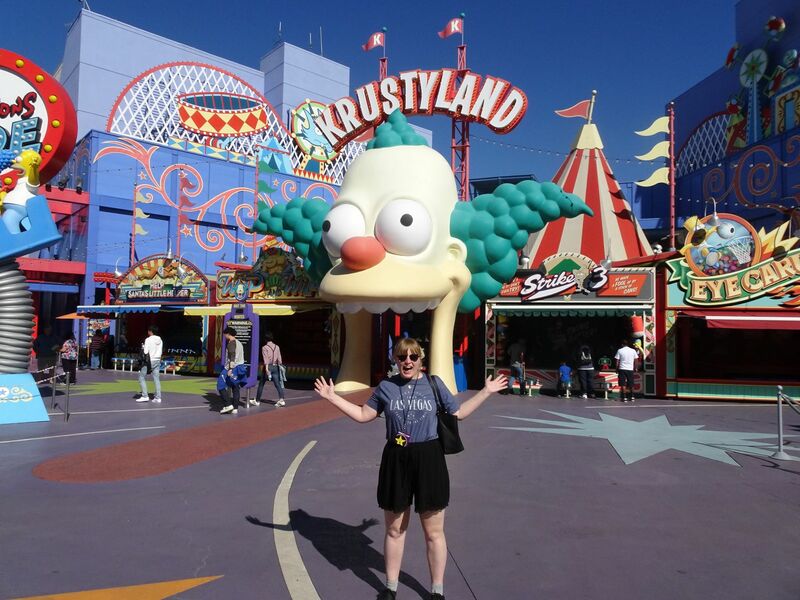 For our second full day in LA, we dedicated it entirely to Universal Studios. We had to make our own way there by train, but we opted for a skip the line pass from Viator which took us to the front of the queue for the first time we went on every ride. With just a few hours here to see and do everything, getting the fast pass ticket was most definitely worth the extra pennies. I’m not a massive rides fan, but I managed to go on every single one. My highlights were definitely the WaterWorld show (loved it so much we went twice), the Universal Animal Actor’s show, and the Studio Tour. Annoyingly since we were there they’ve opened up so many new attractions, including the Harry Potter rides. Need to go back! 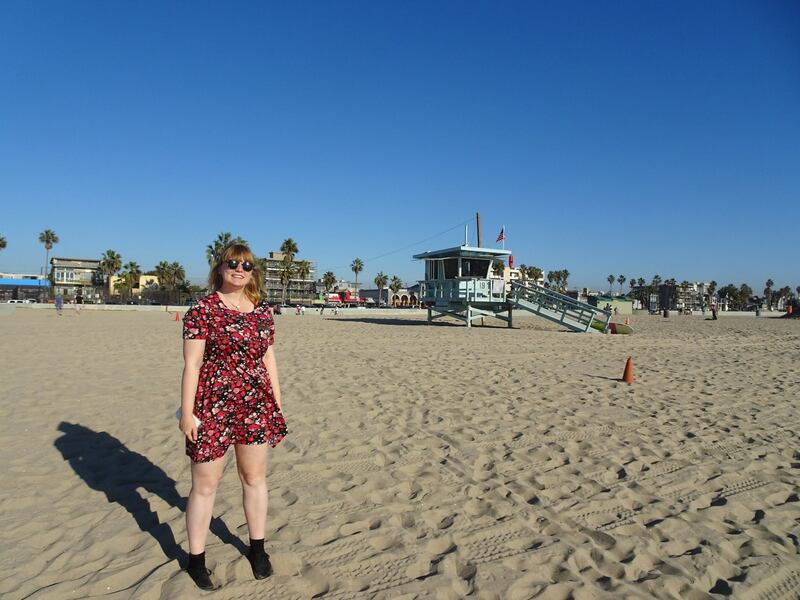 With just one day to see everything, we decided to do a 6-Hour Los Angeles City Tour with LA City Tours so that we could get an overview of everything, from Venice Beach to celebrity homes and the Griffith Observatory. You can read my full review of the tour here. After the tour, we headed back to The Grove. Because it was Christmas, Meghan Trainor and Seth MacFarlane were there to turn on the lights, so we wanted to see everything all lit up! It was so so busy we didn’t get to see Meghan and Seth themselves (we went and sat in the Cheesecake Factory for an hour or two), but it was so cool to wander around once the crowds had dispersed. Taking just over 7 hours (although there are often delays, so bear that in mind!) 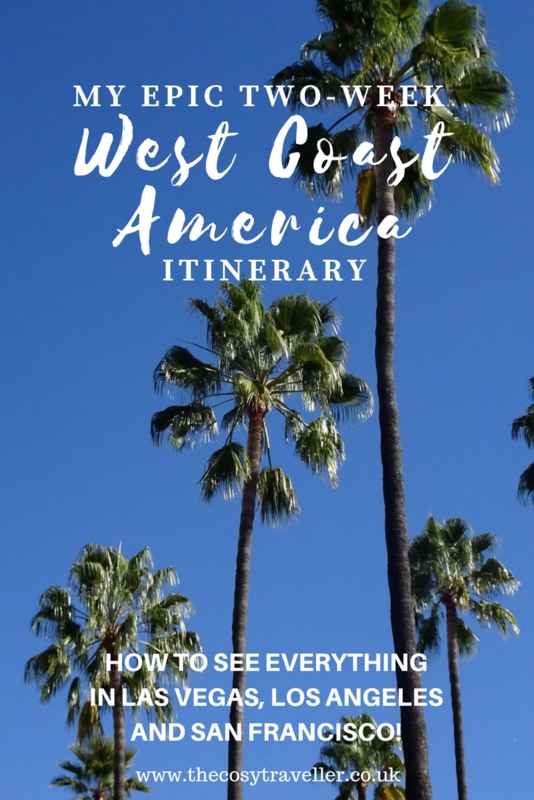 the Coast Starlight train ride is one of the most epic journeys in the world. If you want to know more about what to expect – and just why you should opt to make your way up the coast overland, rather than by plane – here’s my full review. In San Francisco, we checked into Hotel Zephyr for a prime Fisherman’s Wharf location. 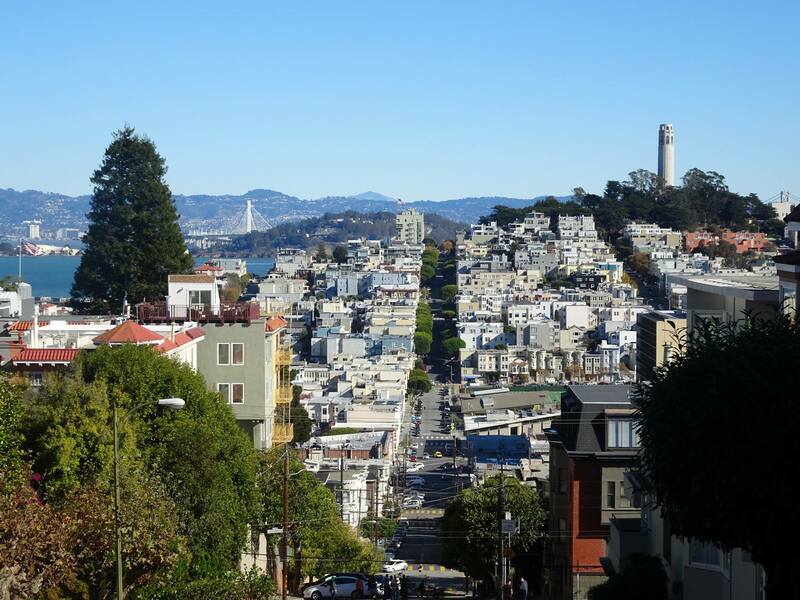 To get our bearings, we played it safe on our first day in San Francisco, walking over to Pier 39, Coit Tower and Lombard Street to tick off those all-important sights. Coit Tower is definitely not a place to miss. 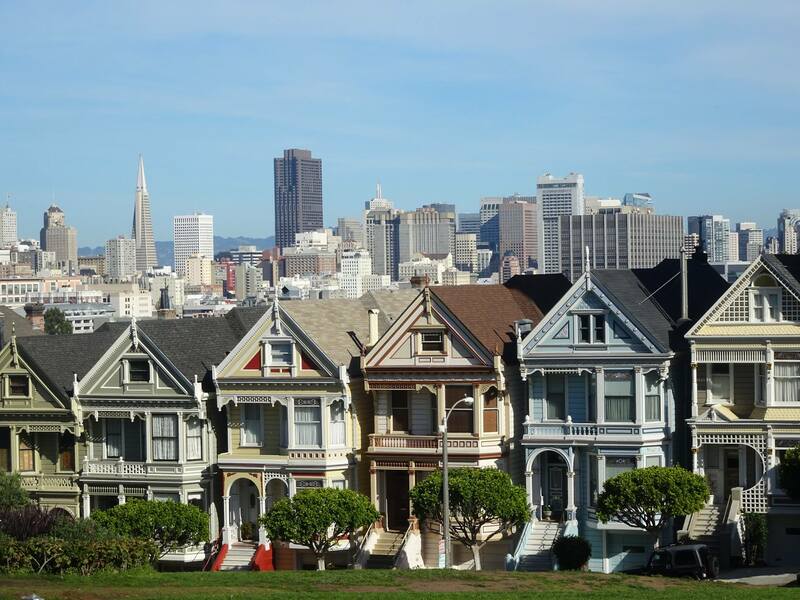 With an admission fee of $8 for adults (£5.77), the view from the tower offers up views all over the hilly streets of San Francisco, and out over to Alcatraz and the Golden Gate Bridge. Spot Coit Tower at the top of the hill! 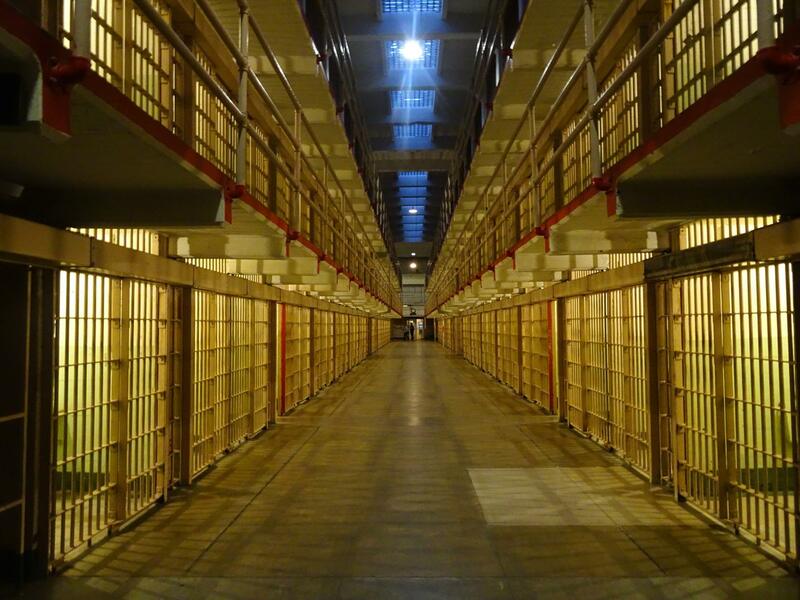 Then it was time for one of the highlights of our entire trip: a nighttime tour of Alcatraz! We caught the boat from Pier 33 at 3:50pm, so we arrived on Alcatraz Island as the sun was setting. Audio guides took us around the interior of the prison, with guides at various points helping us interact with cells – like by locking groups into a cell for 2 minutes in absolute darkness! Obviously I haven’t visited Alcatraz during the day so I’ve got nothing to compare it to, but I did feel like visiting in under a blanket of darkness gave an extra level of eeriness. My friend and I went to a few optional guided talks outside, and hearing the stories of people who’d been cooped up on Alcatraz really brought things to life even more. Before I flew out, one of the things that everybody urged I do in San Francisco was to ride a bike along the bay and over the Golden Gate bridge. So that’s exactly what we did today! We hired our bikes from Blazing Saddles, and spent the money riding up the hills and along the bay over to the bridge. It was an easy ride for the most part, although there was one giant hill where I had to just give up and walk my bike up! It is possible (and definitely recommended!) to ride your bike right across the bridge and over to Sausalito, but we already had a four-hour afternoon tour planned which took in Muir Woods, Giant Redwoods and Sausalito itself. Muir Woods was awesome, with its ancient trees and gorgeous forest views. 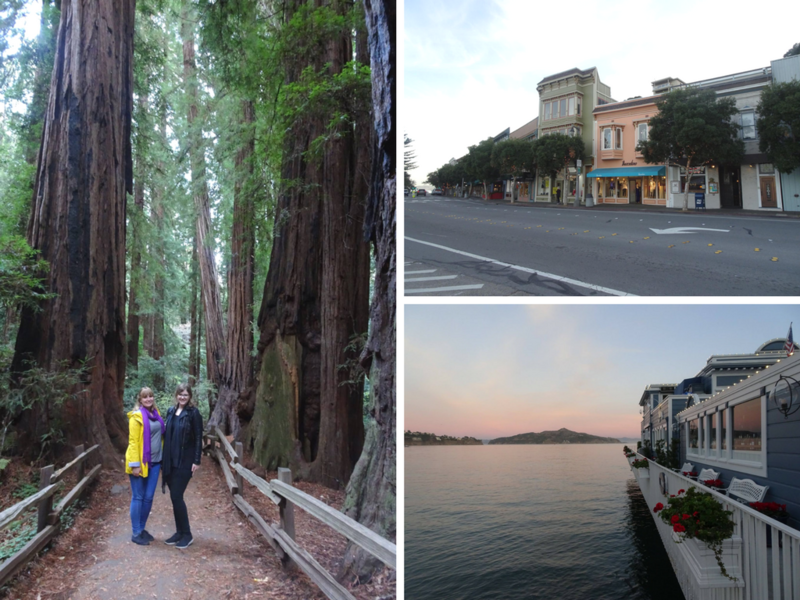 Sausalito was the real highlight though, and we fell in love with its small city vibes, shoreline and quaint buildings. The sunsets here are pretty spectacular too. Day 13 saw another big highlight of our trip: a visit to the Cat Cafe, KitTea Cat Cafe. Influenced by the Japanese style, the cafe is small but stylish. Unlike other cafes, food and drink has to be enjoyed in a separate section to where the cats are – and since the cats are all up for adoption, you’re also encouraged to pick up the cats to help socialise them! From there, we skipped on over to Union Square to soak up the pre-Christmas vibes. This whole area of San Francisco reminded me so much of New York, and it was so much fun dipping into Macy’s and Saks for a bit of shopping. We finished up with a meal in the Cheesecake Factory, which has what’s possibly the best view possible out over Union Square. Today was our second to last day in America, so we decided to go out in style: with a 15-hour day trip to Yosemite. Yes, it was exhausting. But yes, I would 100% do it all over again. 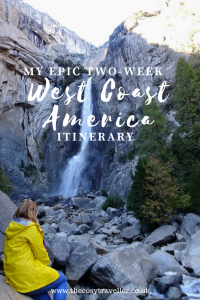 Leaving San Francisco at 7am, our tour with Gray Line whisked us over to Yosemite National Park for lunchtime, where we had some scrumptious food at the stunning Ahwahnee Dining Hall. After that, we had 3 hours of free time so we caught the shuttle bus around a few of the stops in the valley. 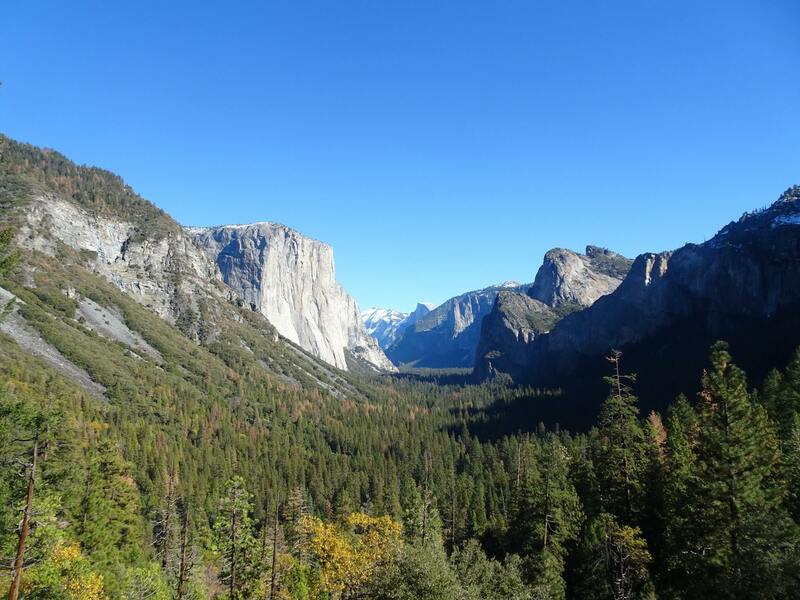 It definitely wasn’t enough time to get the most out of Yosemite, but I’m pleased we saw it. Our coach driver even took us on a guided bus tour of the main sights, so we got to see the Half Dome. For our final day in San Francisco we kept it local, taking in part of the Golden Gate Park. 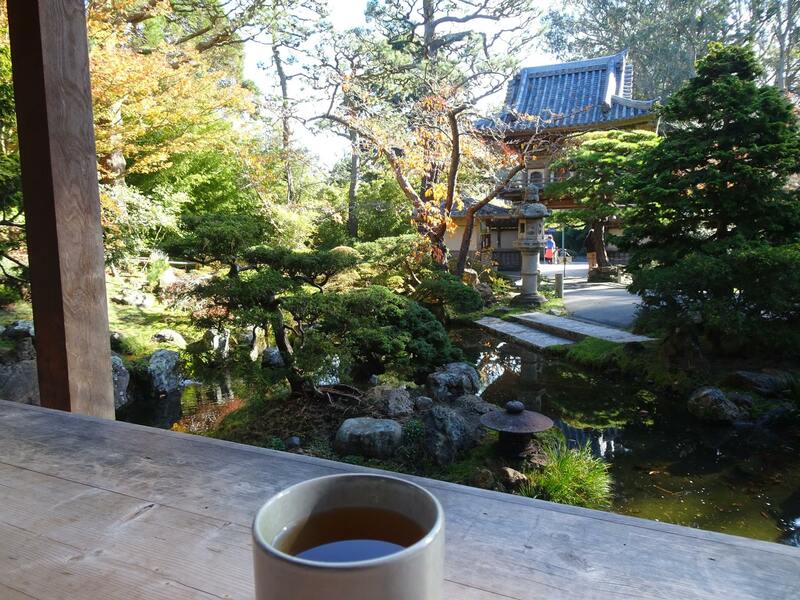 My tip is to head to the gorgeous Japanese Tea Garden, get yourself some tea, and enjoy some chill time! Heading back towards Fisherman’s Wharf, we tried our very first In-N-Out Burger, and then went on an iconic cable car ride. What some people don’t realise is that there are only three cable car lines in the city, which means there’s often a queue to get a ride ($7 for a one-way ticket). We took the Powell-Hyde line up towards Chinatown, heading into the Cable Car Museum for vintage displays. We got an airport transfer from Hotel Zephyr that evening, catching our 9:45pm Virgin Atlantic plane from San Francisco and landing back in London at 4pm! If you like it, put a Pin in it!